How to Spread Your Business across India? Home > Blog > Blog > How to Spread Your Business across India? You have set up a new business and want everybody all across the country to know about it. In simple words you want to advertise your business all across India. You have two ways you can go ahead with it either you opt for conventional media or digital media to advertise your business. However, if you will opt for conventional media to advertise your product throughout the country, it is going to be quite expensive for you. As far as digital marketing is concerned you can advertise your business in relatively very low cost. Besides, digital marketing is far more dynamic, effective and engaging in compare to the conventional media. We recommend you to market your business online for you to reach to the potential customers all across the country faster and easier. Let me walk you through the basic steps that you need to perform to market your business online and using internet to promote your business. First thing first, set up your website. The first thing that you need to do in order to market your business online and have an online brand identity is to establish your own website. There are two ways you can get this done either you do it yourself or you can pay someone and get your website planned, conceptualized and created. 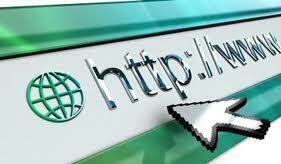 After you have your website ready go ahead and submit your website name to many website directories. You can search internet for free website directories. Search engine optimization plays a very significant role especially in getting organic search engine traffic for minimal expenses or even no expense if you are doing it all yourself. An aggressive SEO research can let you secure millions of people and reach targeted audiences in a matter of months. It could be an easy way to get the people engaged through videos and get traffic to your website. You are simply conveying the information and people get a lot of value out of it. You do that work ones and then it’s useful all the way down the line. The traffic will keep coming in a consistent way. Never mistake between adding value and spamming. You can prudently share a link while interacting through blogs, forums and social media sites that will add value to the conversation. It will drive more and more traffic to your website, which are more likely to be interested in your product and services. Based on the information given by the visitor on the landing page of your company you can create a list of people whom you need to send your information in the form of a mail. 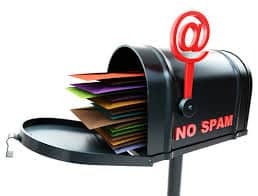 Besides, depending on the stage of the consumer in the sales funnel and their behavior on your site you can optimize your emails and send personalized and more specific emails to the recipients. If possible, sign up with all the social media outlets which are major players among the rest like Facebook, Twitter, Linked In and so on. A fact that cannot be denied is as per the recent studies social signals are responsible for up to 7% of website ability to rank. Even if you set most of the links as no follow, Google can follow them. Besides, think about the social media outlet where people are spending their maximum time and try getting traffic to your website from there. Pay per Click (PPC) marketing is definitely an incredible tool for marketers who are willing to invest and get a good traffic to their site leading to sales. However, you must know that PPC should be the last step taken by you when you have just entered in affiliate marketing. 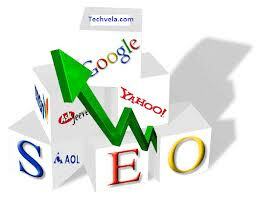 There are some other effective ways that you can carry out in order to get traffic to your site. You can bring the potential customer to your landing page for minimal charges by other internet marketing tools. However, a well set up PPC Campaign can drive a lot of potential customer to your site and does wonders in generating revenue for your company. 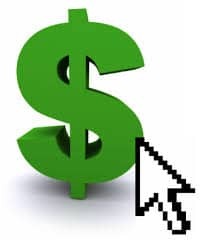 However, at any point of time do not forget that you are paying your money for each click that they make and so if these clicks are not getting converted to sales ,you are wasting your time and money both. For you to understand this fact an act wisely we are going to present three significant tips about PPC marketing that you should always follow. 3. Evaluate your maximum CPC (cost per click) Bid smartly and don’t just unnecessarily bid more than what’s required. Last but not the least for sure, use web Analytics to analyze all the components of your internet marketing and optimize them respectively. This is how you can run your campaign effectively in result oriented way by making relevant changes to it at the right time before it is too late. Hence, go ahead and market your business online to have a wide reach and consistent growth in your business.